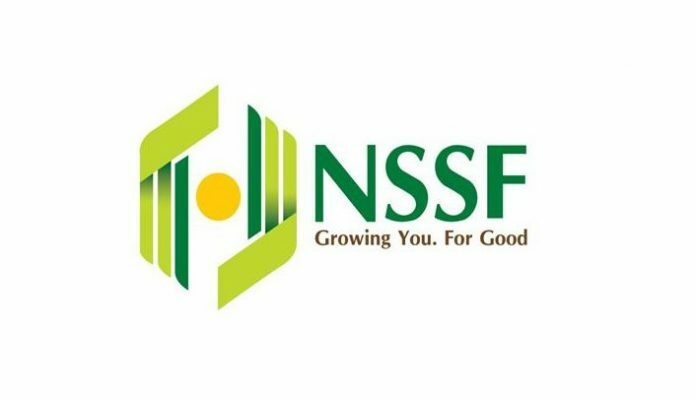 How to apply for NSSF Benefits and Grants. Home Business How to apply for NSSF Benefits and Grants. This section will help you find information on benefits and grants that you may be eligible for as a member (or relative of a deceased member) of NSSF. It will also provide you with the information you need on how to apply for the benefits and grants to which you are entitled. Anyone wishing to apply for benefits/grants should first carefully review the information provided regarding eligibility criteria and application requirements for the benefit/grant for which he/she is applying. Thereafter, the member/claimant should complete the relevant application form and submit it (in person) to his/her nearest branch office. Applications forms are available online and in all our branch offices. Eligibility: Members are eligible for this benefit when they reach the age of 55 years, or when they ultimately retire from regular paid employment. You will be advised thereafter on the steps you will follow to complete your benefit application. Eligibility: Members are eligible for this benefit if they are at least 50 years of age and they have retired from regular paid employment. A member would opt to apply for this benefit (over the age/retirement benefit) if they retire before attaining 55 years of age. The husband/wife of the deceased member. All children irrespective of age or gender (if the husband/wife of the deceased member is also deceased, or if the deceased member was a single parent). Members who are certified to be permanently incapable of working because of physical or mental disability. Members who are at least 50 years of age and suffer from a partial incapacity of a permanent nature that prevents them from undertaking employment. Submit the completed application form + the required documents (in person) to your nearest NSSF office. The grant is payable to a dependant of a deceased member. This dependant must be nominated by the family and must be identified by local administration. The deceased member must have been a member of the fund who made at least three (3) monthly contributions to NSSF. The deceased/beneficiary has not yet been paid his/her benefits. Submit the required documents in-person to your nearest NSSF office.